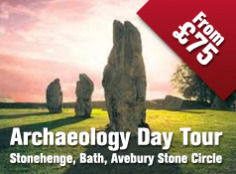 It is one of Britain's most popular tourist attractions, a Unesco World Heritage Site and a relic of utmost importance in unravelling our past. It serves as an icon of Britain, its trademark trilithons a visual shorthand for heritage, hippies and unknowable mystery. It has been immortalised by Constable, Wordsworth, Hardy and Vonnegut. Spinal Tap named a song after it and in the film Help!, the Beatles sang nearby. 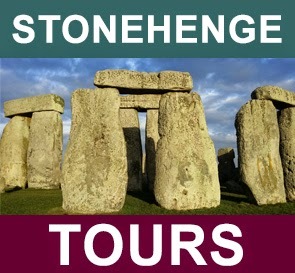 It's also a symbol of proprietorial greed, its £7.80 entrance fee allowing passage through a dank tunnel and a walk around, rather than among, the stones; according to a random sample of visitor reactions, Stonehenge is "just a pile of rocks", "smaller than I thought it would be" and a "rip-off". Stonehenge, encompassed by an aura of utilitarian tat – a shabby entrance, chain-link fences and the thunder of two busy roads – is as old and as important as the Egyptian necropolis at Giza, but you wouldn't guess that from its presentation, which has all the aesthetic allure of a bus station. Last month, after nearly 30 years of dead-end schemes, English Heritage finally began work on an attempt to bring Stonehenge back to its proper setting, starting with the construction of a new visitor centre – a graceful low-rise building hidden a mile and a half to the west at Airman's Corner – which promises to tell the story of the people who built the historic site. The centre will feature artefacts on loan from local museums, as well as 21st-century multimedia and the ubiquitous gift shop. Its construction also promises to sweep away a busy road, the fence, the car park and the jumble of "temporary" buildings installed close to the stones in 1968. 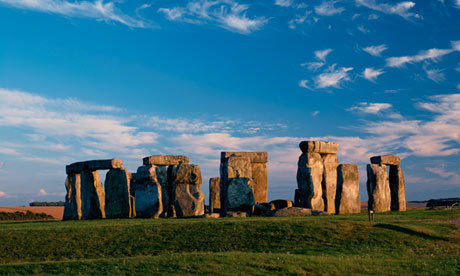 A low-key transit system will ferry visitors to and from Stonehenge and stop off at points between, allowing sightseers to explore the wider landscape. "People arrive here and focus on the stones but lose an opportunity to see what else is out there," says English Heritage's head of Stonehenge, Peter Carson, from the current car park, close to the monument. "The new entrance should allow them to appreciate the landscape before they see the jewel in the crown." It is what visitors to Stonehenge have been missing all this time: the complex of ancient earthworks and burial mounds flecked across a chalk downland is as much a part of the monument as the stones themselves. The removal of the road and fence that runs to the north will unite Stonehenge with the Heelstone, the outlying monolith that marks the end of the Avenue, the ancient processional route to the stones. Stonehenge is perched at the head of a low ridge, an eminence of chalk that seems inconsequential from almost every viewpoint except this one. When approaching the circle via the Avenue, the monument appears to rise above the wild flowers of Stonehenge Down. It might be coincidence, but it feels more like an act of showbusiness designed to provoke a response. Elsewhere on the down, earthworks even older than the henge are spattered across the landscape and access to them will be eased. A visit to the Stonehenge Cursus, a mysterious earthwork more than one-and-a-half miles long, will be aided by a stop off on the transit system, while the sites of 10,000-year-old mesolithic (Middle Stone Age) postholes 75cm in diameter and the oldest man-made feature anywhere on the down, will be exhumed from under the car park, where they are currently marked by white blobs of road paint, daubed mini-roundabout-style over the tarmac. 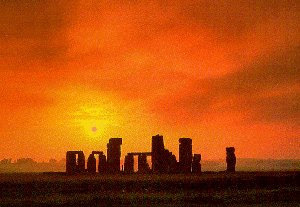 Nothing speaks louder about our current treatment of Stonehenge than these splodges; for somewhere that should be brimming with mystery and ancient magic, Stonehenge has had to wait a while to truly delight us.